The Shaw Centre offers many amenities to a wide variety of events. The Shaw Centre can accommodate Tournaments and League Championships of any size. The two NHL regulation size arenas provide our patrons with ample ice time for public skating, parent and tot activities, and shinny drop in programs. 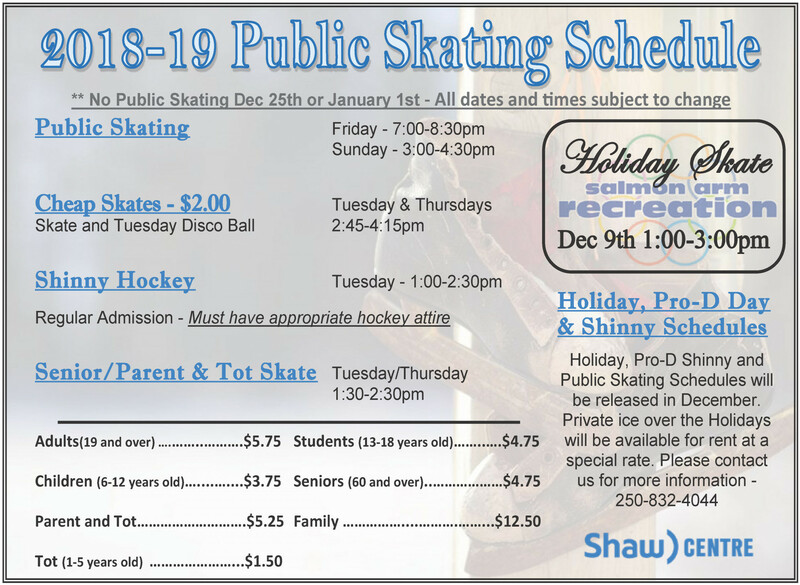 Our local Community organizations offer a wide variety of youth and adult hockey, ringette, speed skating, lacrosse, and figure skating programs. 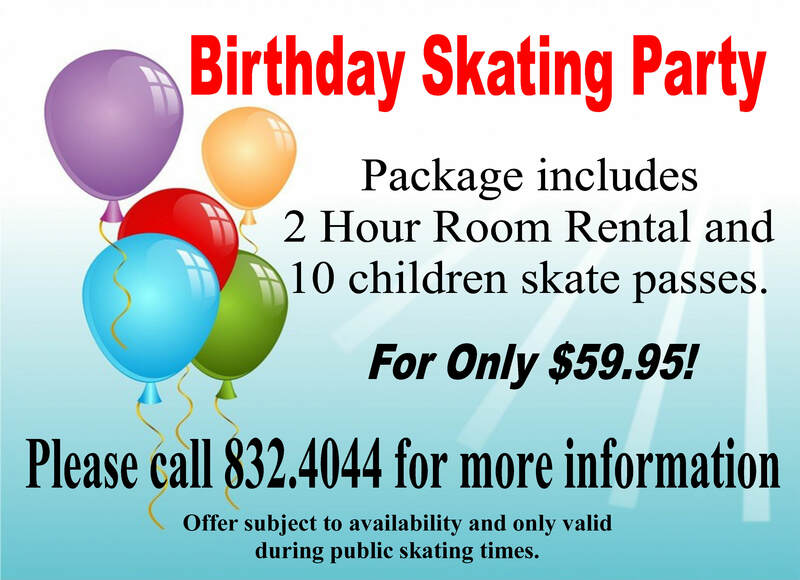 Whether you are young or just young at heart; a beginner or advanced skater, there is a program available for you. Our two NHL regulation ice surfaces make for ideal conditions to host large or small hockey tournaments at very reasonable rates. Call us for information and we will assist you in order to make your next tournament a success. Our spacious floor space provides the perfect venue for trade shows, conventions, concerts, and large sporting events. We can accommodate these events throughout the year as we are fully equipped with all your ice decking , staging, and equipment needs to make your event a success. The Shaw Centre provides an excellent facility for many forms of entertainment. The Spectator Arena is designed to comfortably accommodate more that 2200 seated guests in a concert setting. This is a perfect venue for music, concerts, and cultural events. An acoustic deck has been incorporated into the design to ensure a high standard of audio quality and clarity. The Shaw Centre offers year round exhibition space. Organizers of large business workshops, seminars and cultural events can also take advantage of our seating for 1500. The large floor surface allows for additional seating or display space. This is an excellent location for conventions. 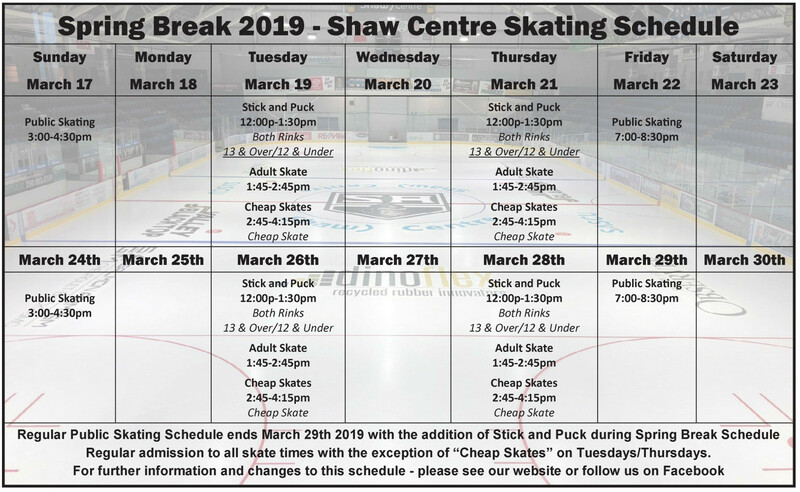 The Shaw Centre is located close to hotels, bed and breakfasts, plus many amenities enjoyed by visitors to the Shuswap area. The Spectator Arena is also a regulation sized ice surface with theatre style seating for 1500 spectators. Ideal for large sporting events, concerts, conventions, and trade shows. A large elevated concourse walkway that goes completely around the ice surface provides easy and comfortable access to all areas of the facility. Two large concession stands are located along the concourse to ease any hunger pain. Hucul Pond is a NHL regulation sized ice surface that has seating for 300 spectators. It is equipped with a full media booth for all your announcing and evaluating needs. Four large fully equipped dressing rooms lead directly to the ice surface for easy accessibility.